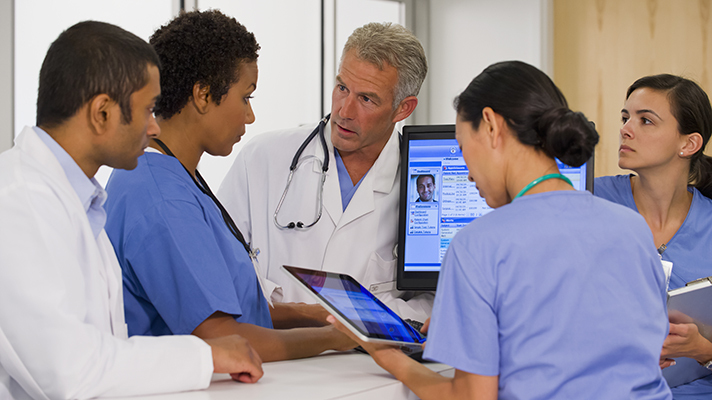 The American Medical Informatics Association has voiced its support for the draft Federal Data Strategy, noting that if properly deployed it could improve information sharing and analytics for healthcare research and more. The government's data strategy proposal seeks to define principles and practices for how government agencies use and manage data. It aims to create a purposeful integrated approach to using data to "serve the public, and steward resources while respecting privacy and confidentiality." Its four core tenets are: managing federal data as a strategic asset; enabling various stakeholders to efficiently access those assets; improving the use of data for decision-making and accountability; and facilitating access and use of data by external stakeholders for innovation. In its comments to the government, AMIA applauded the effort but offered its own perspective on how the draft strategy could be honed. Federal agencies should manage information in a such way that "supports supplemental uses of downstream information processing and dissemination," according to AMIA, and should also broaden the concept of "data as an asset" to researchers and others who get federal funding so "data generated as part of grants and contracts are more readily findable, accessible, interoperable and reusable." The feds should also create a framework to help agencies understand, manage and "compare their data assets through a portfolio approach," while continuing the government's responsibility to modernize its IT investments, "especially around large-scale computing and shared environments." In addition, health informatics group wants the draft strategy to focus on publishing and harmonizing data dictionaries so public agencies can more consistently and accurately interpret various data. "AMIA recommends that this strategy initiate a collaborative, inter-agency consensus process to ensure that data elements used by disparate agencies, but which refer to the same concept, are named the same everywhere,” the association said. As part of its efforts to help government officials understand how data could be deployed as an asset, AMIA pointed to a project in Indiana, coordinated through the Regenstrief Institute and part of Indiana University's Grand Challenge Initiative, that developed the Indiana Addiction Data Commons. With the IADC researchers and care providers are able to access more addiction data than can typically be found in electronic health records, according to AMIA, helping enable better treatment decisions for addiction. Such an approach could help inform larger nationwide data management efforts. "As the federal government assesses its current strategy to manage its data assets, AMIA and the informatics community can be a source for lessons learned and best practice," said AMIA CEO Douglas Fridsma, MD, in a statement.